Professor Christopher Whalen is dedicated to halting the spread of tuberculosis (TB) and HIV in Uganda. TB kills 50,000 people in East Africa every year and is made even deadlier when a patient also is infected with HIV. In fiscal year 2016, faculty, staff, and students continued to pursue excellence in every facet of the university’s mission — transforming the world through teaching, research, and service. They are addressing some of today’s most pressing challenges, and the influence of their dedicated efforts is visible across three broad themes: inquiring and innovating to improve human health; safeguarding and sustaining our world; and changing lives through the land-grant mission. Whether through the development of new vaccines to prevent infectious diseases or finding more effective ways to use existing health care tools, UGA faculty are working diligently to improve human health. Christopher Whalen, the Ernest Corn Professor of Infectious Disease Epidemiology, investigates how the daily social interactions of Ugandans contribute to the spread of TB throughout the country. 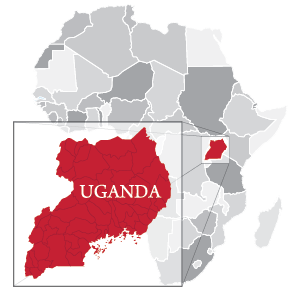 Whalen is helping to train future scientists and public health officials to fight HIV and TB epidemics through an ongoing eight-year partnership between UGA and Uganda’s Makerere University. This global initiative has been supported by more than $6 million in external grants. Whalen’s training program aims to stop these deadly diseases at the source by informing prevention and treatment efforts. Eric Harvill, the Georgia Athletic Association Professor in Medical Microbiology, studies respiratory pathogens such as the bacterium that causes pertussis, also known as whooping cough. This highly contagious—and potentially fatal—disease is resurging and presents a unique danger to infants. 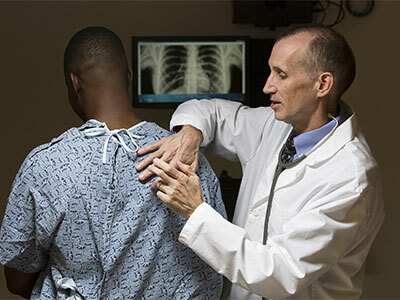 Harvill, in collaboration with the U.S. Centers for Disease Control and Prevention, is leading the charge to combat this and other communicable respiratory diseases with external grants totaling more than $5 million. 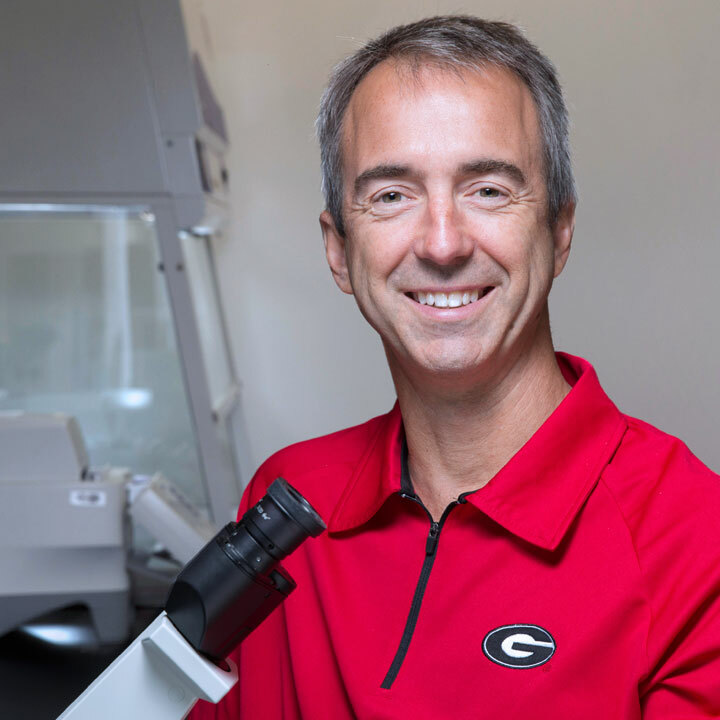 Harvill was hired through the Presidential Extraordinary Research Faculty Hiring Initiative, which was completed this year, bringing some of the world’s leading scholars to UGA. Four of the five faculty members hired through this initiative conduct research in fields related to human health. UGA and Uganda’s Makerere University are collobarating to prevent the spread of disease. Harvill also is a member of UGA’s new Center for Vaccines and Immunology (CVI), established in fall 2015. The new center comprises faculty devoted to creating new vaccines and advancing the world’s understanding of the immunology of infectious diseases in humans and animals in order to improve global health. A new home for the center is scheduled to open in fall 2016. Researchers at the CVI, including Ted Ross, director and Georgia Research Alliance Eminent Scholar in Infectious Diseases in the College of Veterinary Medicine, are making strides to develop new influenza vaccines. This year, Ross continued his longstanding partnership with Sanofi Pasteur, the vaccines division of the multinational pharmaceutical company Sanofi, to develop a vaccine that protects against multiple strains of both seasonal and pre-pandemic influenza viruses in animal models. This research is part of a broader effort to create a universal flu vaccine, which would protect humans against all strains of the virus, and the vaccine Ross and colleagues have helped to develop is a major step in that direction. The University is increasing its focus on research in molecular medicine. The principal objectives of this important field are to better understand the molecular and cellular basis of human disease and to use that knowledge to develop therapies, cures, and diagnostics that target such maladies as cancer, diabetes, and cardiovascular disease, among others. Construction is underway for a new home for UGA’s Center for Molecular Medicine. Located next to the University’s renowned Complex Carbohydrate Research Center, the new $25 million facility will house up to 10 research groups focused on conducting translational research to improve human health. The state provided $17 million to support this critical project, and these funds were matched by $8 million in non-state funds. Undergraduate students Zahra Vasaya and Sabin Shakya discuss soybean plants while conducting research in Wayne Parrott’s greenhouse in the Center for Applied Genetic Technologies. Undergraduate student Tate Hutwagner also helped Parrott test insect-resistant soybean varieties. In 2016, the University of Georgia continued to play a critical role in safeguarding and sustaining the world. Through use-inspired research and strategic partnerships, faculty, staff, and students led efforts to secure the world’s food supply, to help communities become safer and operate more efficiently, and to protect the planet’s precious natural resources. UGA is dedicated to supporting the agricultural industry at home and across the globe. The research of Esther van der Knaap, a professor of horticulture in the College of Agricultural and Environmental Sciences, provides a great example of this commitment. 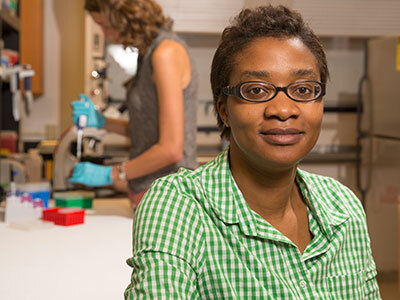 She is studying tomato fruit quality with the support of a $4.9 million grant. As a low calorie fruit rich in vitamins and minerals, the tomato is a nutritious ingredient in cuisines around the world. Van der Knaap analyzes genome sequence data from a variety of tomatoes to identify the genes that control important fruit traits, such as flavor, size, color, and firmness. Eventually, this research—which has implications for other commercially important crops—may help farmers develop higher-quality produce more efficiently, bolstering the world’s food supply. Another important agricultural product is the soybean, which provides the world’s single greatest source of vegetable protein and oil. To improve soybean varieties, a team of UGA researchers led by Wayne Parrott, professor of crop and soil sciences, is creating molecular tools to help experts more effectively target desirable genetic traits in soybeans. 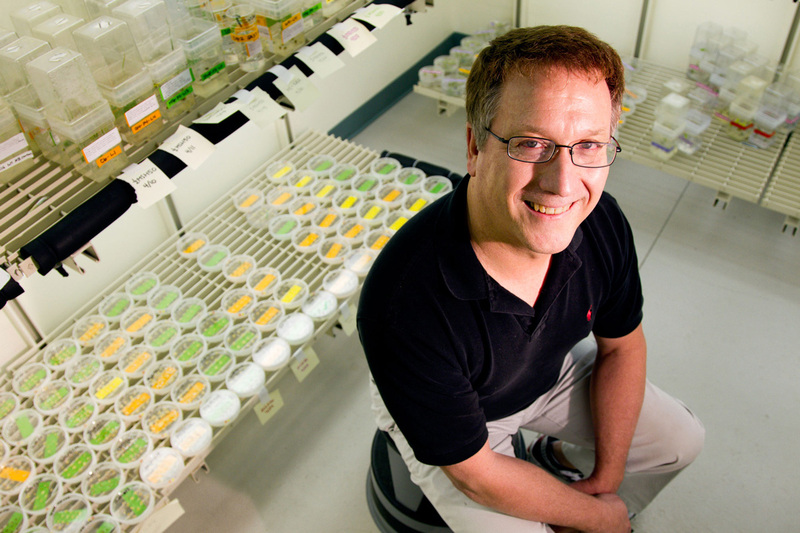 Parrott’s research ultimately seeks to produce pest-resistant soybeans and other crops that can be used to develop oils and proteins for healthier diets, industrial compounds, and biodiesel fuel. This year, Parrott’s lab helped test new insect-resistant soybean varieties that could reduce reliance on pesticides, ultimately lowering production costs and promoting environmental sustainability around the world. 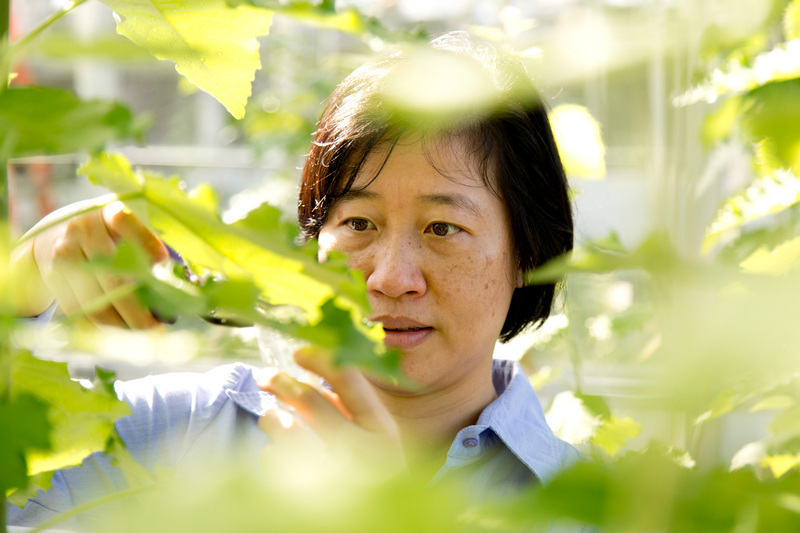 Chung-Jui Tsai, a faculty member in UGA’s Warnell School of Forestry and Natural Resources and director of the Plant Center, uses bioinformatics to study trees at the genetic and molecular levels. Her research sheds light on how trees function and how that knowledge can be translated into practical breakthroughs, such as making plants more economically viable sources of fuel. 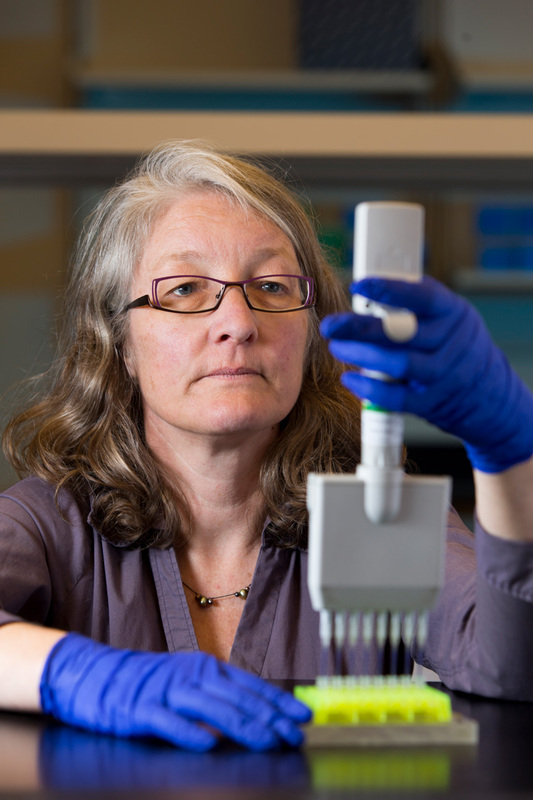 Her work, which touches on the fields of genetics, biotechnology, forestry, and more, epitomizes the interdisciplinary nature of the University’s informatics initiatives. of all peanuts grown in the U.S. are UGA-bred varieties. In 2016, UGA Cooperative Extension continued to play a leading role in supporting every facet of Georgia’s robust agricultural industry, including aiding small farmers across the state. In Rabun County, UGA Cooperative Extension is providing business and technical guidance to small and beginning farmers to meet a growing demand for local produce in that region of the state as part of a partnership with the Food Bank of Northeast Georgia. The Food Bank is creating a food hub in Rabun County, the first of its kind in the nation. This new hub provides a range of benefits to the regional community, from helping farmers aggregate and preserve their produce to increasing access to local food. UGA Cooperative Extension is providing educational support by training farmers in good business and production practices. Business training was held last fall; in April, farmers were trained on the production of small fruits and vegetables. The Information Age is generating massive amounts of data that can be harnessed by researchers to tackle grand challenges in areas such as health care, food and energy supply, and cybersecurity. Informatics is a broad computer science-based field focused on translating the rapidly expanding stockpile of data worldwide into solutions to address these complex challenges. This year, the University launched the Presidential Informatics Hiring Initiative to create new faculty positions in this burgeoning field. The informatics faculty hired through this initiative are expected to expand the University’s impact in areas such as infectious disease, drug development, health analytics, crop science, and information security. In addition, UGA faculty have proposed a central academic home for informatics called the Georgia Informatics Institute for Research and Education. This new institute—which will complement UGA’s Institute of Bioinformatics—would promote collaboration among the informatics faculty, who are located in schools and colleges across the institution. Computer science and engineering researchers, for instance, might partner more easily with public policy and legal experts to develop technical tools that not only strengthen cybersecurity but also consider privacy concerns and operate in accordance with the intricate set of laws and policies that govern cyberspace. If approved by faculty governance during the upcoming year, the Georgia Informatics Institute would be housed in the College of Engineering. Faculty also are seeking to broaden informatics education for undergraduate students. A new certificate, which also will be evaluated by faculty governance during the upcoming year, has been proposed to offer a strong informatics curriculum to undergraduate students campus-wide. UGA’s College of Engineering experienced another year of sharp increases in enrollment in 2016. Since its founding in Fiscal Year 2013, undergraduate enrollment in the engineering college has more than doubled, with last fall’s enrollment exceeding 1,600 students. 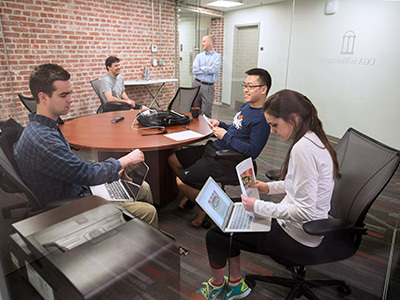 Interest in engineering at UGA is expected only to increase as the University’s many informatics initiatives begin to take root. In addition to surging enrollments, research activity in the college is significantly expanding as faculty win external awards that support scholarship to promote human wellness and learning, to develop secure and sustainable systems, and to engineer advanced materials and cyber tools for the future. Two important measures of research prowess are annual research expenditures and research awards—both metrics have increased substantially since the college’s founding in 2012. In 2016, UGA continued efforts to advance sustainability research, education, and service. The complex problems facing the world today—such as the need to leverage alternative sources of energy—require a multi-institutional effort involving higher education, private industry, and government. A perfect example of this type of broad collaboration is a partnership between Georgia Power and UGA to advance solar energy in Georgia. This exciting new project will track configurations of solar panels to determine the most reliable and efficient ways to generate solar power in the state. In addition, a partnership with Southern Company is creating new avenues for sustainability research and education at UGA. Since 2002, Lake Herrick—the centerpiece of a 284-acre watershed on South Campus—has been closed for public use. Southern Company agreed this year to help fund steps toward the improvement of Lake Herrick, with the goal of making this beautiful area of campus more accessible for recreation. In June, UGA received a $10 million award from the state to purchase 19 electric buses for its campus transit system. Electric buses emit no pollution, are quieter, and have a lower operating cost than their diesel-powered counterparts. The buses are expected to arrive on campus in 2017, positioning UGA at the forefront of advancing innovative and cost-effective campus transportation. At a time of great insecurity and conflict in many parts of the world, faculty at UGA are working tirelessly to promote global peace and stability through research, scholarship, and training in areas such as nonproliferation and international relations. The Center for International Trade and Security (CITS), part of the School of Public and International Affairs (SPIA), works to limit the spread of chemical, biological, nuclear, and radiological weapons and weapons components by informing decision makers and the general public around the world about the dangers associated with such materials. SPIA continues to advance scholarship that helps policymakers promote international peace and security. In April, the center’s biannual Security and Strategic Trade Management Academy brought together 64 officials from 23 countries for training on processes to prevent dual-use technology, such as weapons and commercial applications, from proliferating to hostile states and terrorist groups. Since 2006, the academy has trained more than 800 government and industry officials from 55 countries. 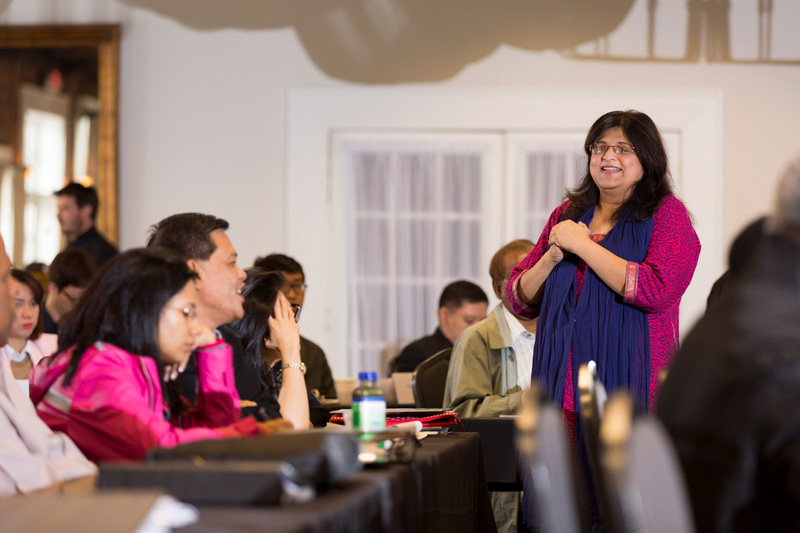 During the Security and Strategic Trade Management Academy’s April meeting, distinguished CITS faculty members, including Assistant Director of Public and International Affairs Seema Gahlaut, facilitated training on international trade control concepts, issues, and standards related to nonproliferation. UGA students are leading efforts to improve campus sustainability. 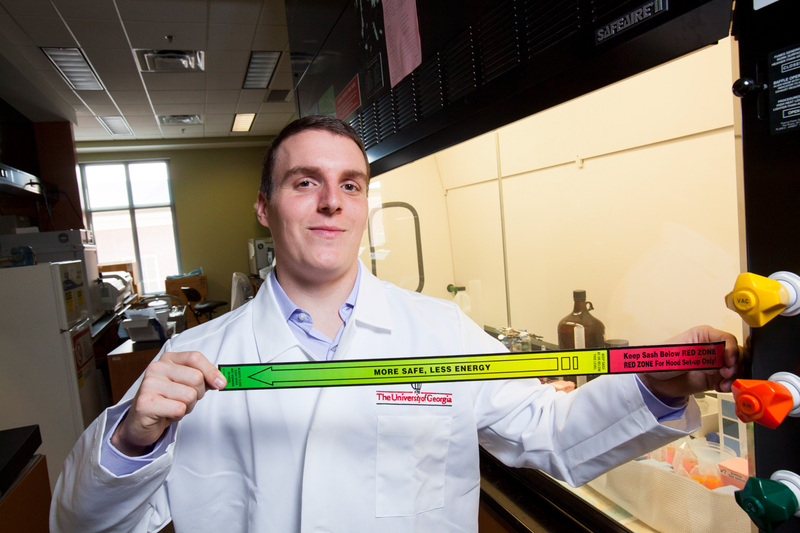 This spring, John DeRosa, an engineering major and an Office of Sustainability intern, conducted a pilot project designed to conserve resources and reduce waste in research laboratories. The findings from DeRosa’s project, which was funded by a UGA sustainability grant, were used to enhance the Green Lab Program, which will be introduced in fall 2016. The Green Lab Program promotes simple sustainable laboratory practices, such as using stickers to remind technicians to close fume hoods and using slightly warmer (but still effective) sub-freezing temperatures to preserve biological samples. Erin Wedereit, a 2015 graduate of the College of Education, won a Georgia Power New Teacher Assistance Grant, which helps skilled first-year teachers purchase books, computers, and other classroom supplies. As a land-grant and sea-grant university, UGA is dedicated to improving lives and communities throughout Georgia. The University’s vast economic development footprint and its exemplary K-12 teacher preparation programs are two areas where UGA’s steadfast devotion to its home state clearly can be seen. 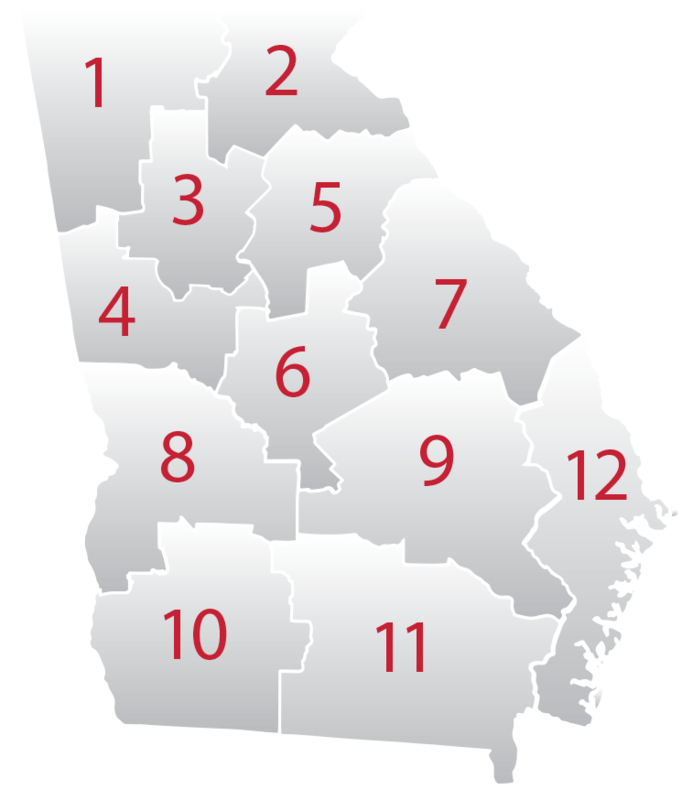 In 2014, German-based Häring announced it would build its first U.S. automotive parts manufacturing plant in Hart County, bringing 800 high-paying jobs to northeast Georgia. Before the announcement, county officials worked with UGA as an Archway Partnership community to foster economic revitalization. As a partnership community, Hart County was connected to the vast resources of the state’s flagship university. For instance, faculty and students from the College of Environment and Design met with Hart officials to design signage and landscaping for the Gateway Park industrial complex along I-85, while students from the Terry College optimized the search engine for the Hart County Industrial Building Authority (IBA) and researched international job prospects. In addition, Franklin College of Arts and Sciences students translated the IBA website into German, Spanish, and French to appeal directly to businesses around the world. This collaborative approach involving several schools and colleges has moved the project forward and provided rich learning experiences for UGA students. To date, Häring has hired more than 30 individuals, including two UGA graduates. The new hires have been sent to Germany to train for upper management, product management, engineering, and other key skilled jobs at the Hart County plant. In January, the Carl Vinson Institute of Government introduced the Georgia Certified Economic Developer (GCED) program to help economic development professionals in the state compete in today’s global economy. Customized for Georgia’s economic environment and grounded in UGA research, the certification program offers professionals Georgia-specific training on practical topics that immediately can be applied to economic development opportunities and challenges. More than 90 individuals have participated in GCED to date, representing 44 communities and 21 state agencies, universities, technical colleges, utility providers, and private firms. The College of Education is preparing future teachers in Georgia through its award-winning Professional Development School District (PDSD) program, which strategically places UGA faculty and students into public schools in Clarke County. UGA faculty serve as professors-in-residence, offering on-site courses and mentoring to College of Education students who are training to become teachers. Faculty also provide support to school district teachers and administrators. 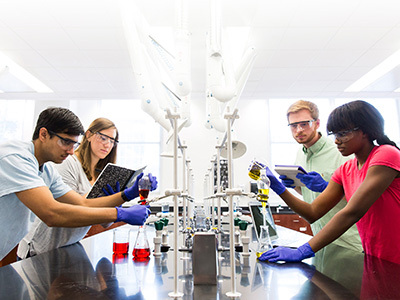 This innovative program aids public school teachers and students, who benefit from faculty expertise and guidance, while also providing a unique experiential learning opportunity to UGA students. Nearly 2,500 students have participated in PDSD since fall 2011. Erin Wedereit, a 2015 graduate of the College of Education who participated in the PDSD program, is making a difference in her community as an eighth-grade language arts teacher at Grovetown Middle School in Columbia County. Wedereit completed her first year of teaching in 2016, and she credits the PDSD program for preparing her to be effective on her first day. Instead of solely learning about the best instructional practices from a textbook, Wedereit observed best practices in action by engaging in a classroom environment at Hilsman Middle School in Athens. This experience helped her build relationships with students and experienced researchers, relationships that ultimately improved her understanding of how to be a successful teacher. UGA is helping revitalize the state’s once-thriving oyster industry with the opening of Georgia’s first oyster hatchery. Developed on Skidaway Island by UGA Marine Extension and Georgia Sea Grant, the new hatchery creates oyster seed, or spat, which is farmed by aquaculturists on the Georgia coast. The state’s first single oysters will mature this fall. By 2020, the hatchery is expected to be producing 100,000 to 500,000 oysters a year with a dock value of about $1.6 million. 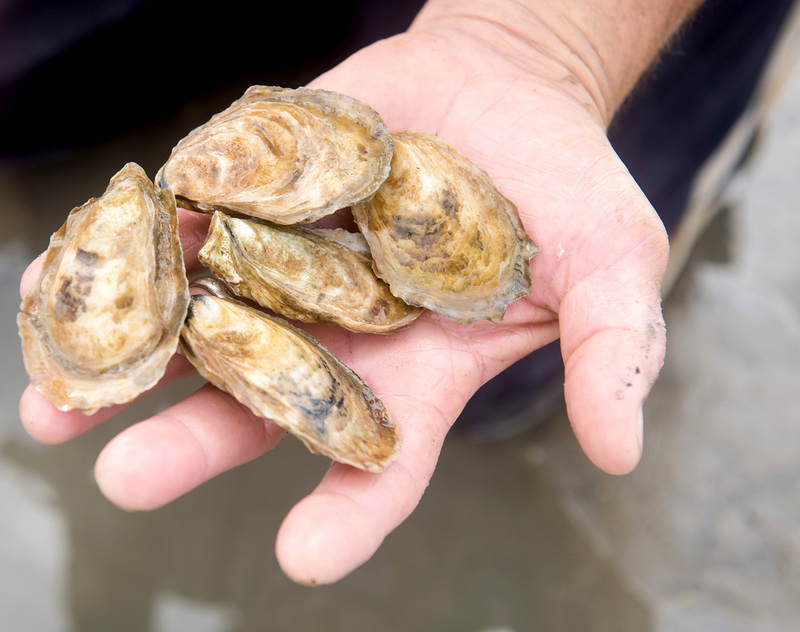 The current effort is intended to help diversify the aquaculture industry in Georgia, meet a demand for single oysters by seafood wholesalers and retailers, and help grow the economy in southeast Georgia by attracting businesses that either build equipment needed for oyster production or develop shucked oyster meat products.